One of the World’s most expensive districts is located in Tokyo. 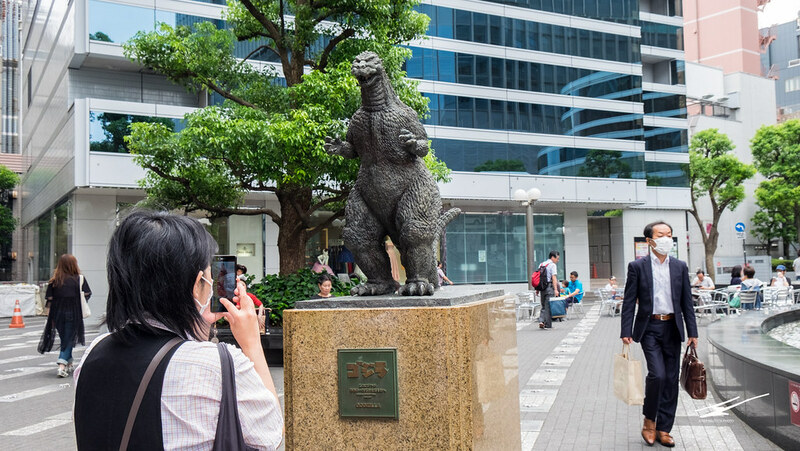 The district of Ginza attracts visitors from all corners of our planet, with basically two different profiles. Those who come to see the luxurious district, those who are part of the luxury. Not a place for low budgets, you may think, but there are few things one can do without breaking the travel budget. 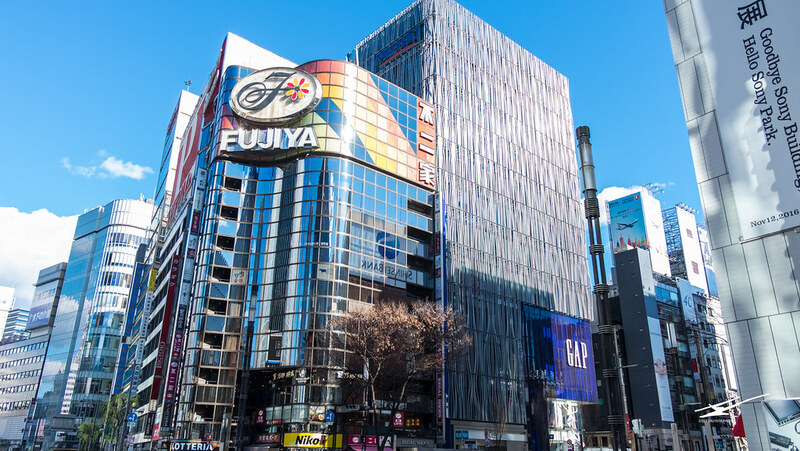 Fujiya colorful building, one of Ginza’s icons. 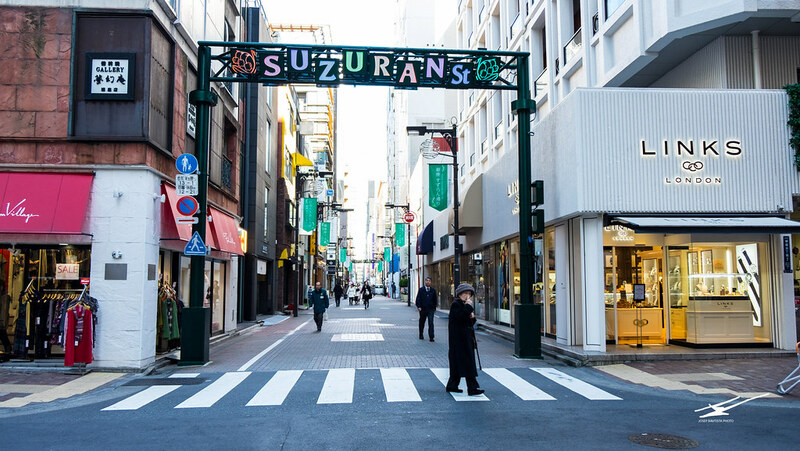 Ginza district was in its origin a swamp, a vast area covered in mud, until it was filled in 16th century, and the name was given after a coin mint was built in the area. The meaning of Ginza is < Silver Seat> and it matches perfectly its condition of luxury nowadays. During the Meiji era large fires burnt the major part of the district. Then, the government saw an opportunity to make it a model of modernization, making better and stronger constructions, and changing the layout to make better connections with Shinbashi and Tsukiji areas. There are several department stores in Ginza, with top brands fighting for a spot every time a new one is built. The latest is the Ginza Six, opened in April 2017. The legend department store in Ginza is yet another survivor, the Wako store building, with the Hattori clocktower. Designed by founder of Seiko company. 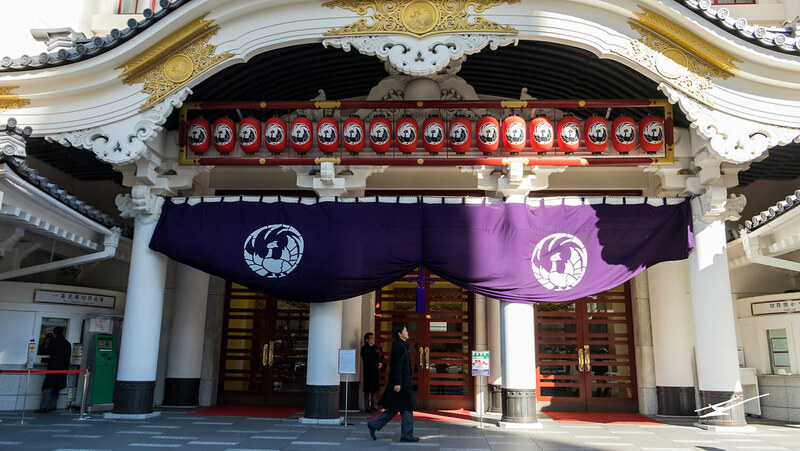 the remodeled building of the Kabuki theater stands in the way from Tsukiji to Ginza, as a guardian between the two different districts. 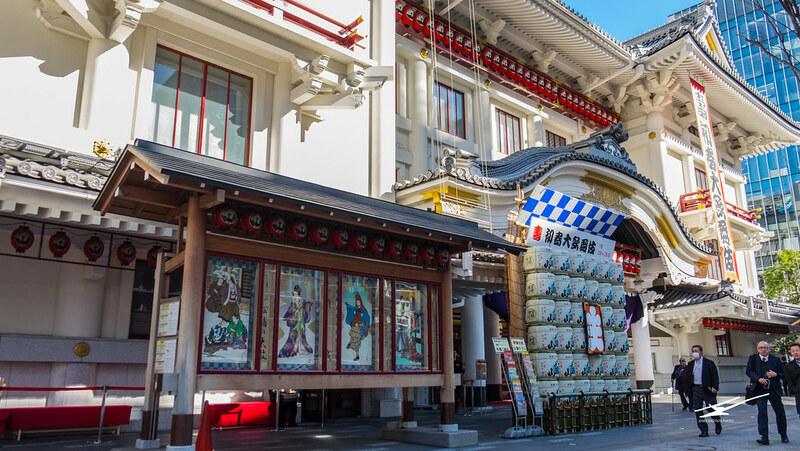 The original dates from 1889, constructed with wood but it had suffered as many other icons of Tokyo , from devastating fires, the Great Kanto Earthquake of 1923, and during the air raids of WWII. The last construction, from 1950 was decided to be demolished due to insecurities about its resistance to earthquakes and accessibility. The newest was built in 2010 over 3 years. 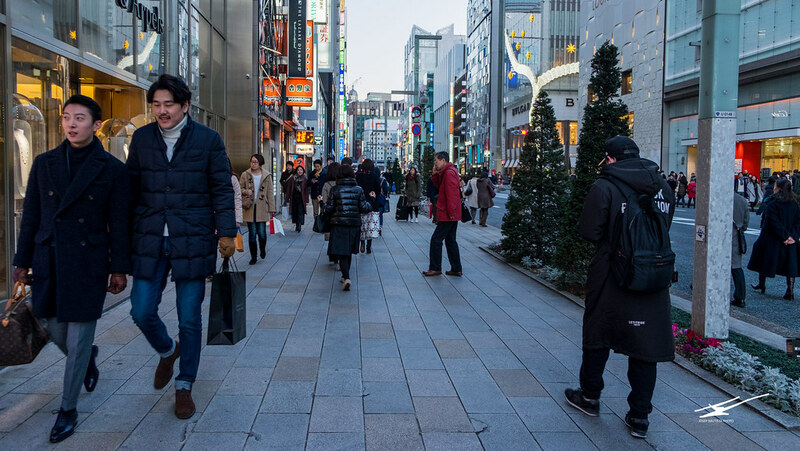 Whilst it’s true many visitors just pass by the area with their hands inside their pockets to avoid spending money, not everything has to be expensive in Ginza. 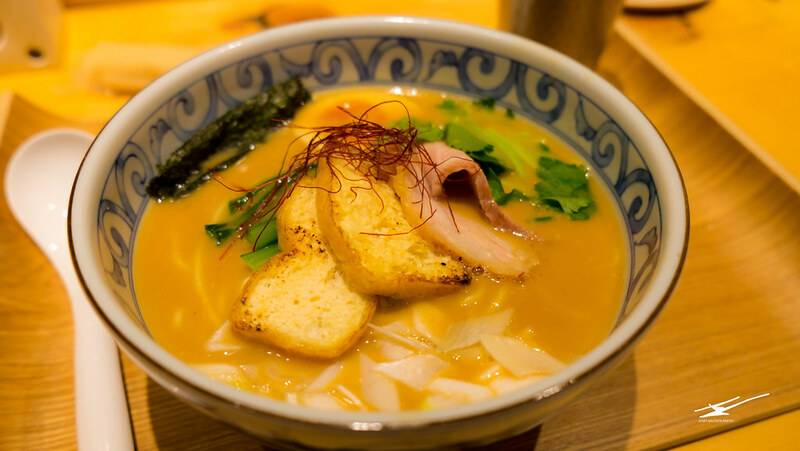 Food is one fine example of gathering of the best World’s cuisines and finest Japanese restaurants in a reduced area. Many years ago, I took my parents to try Kobe beef in Ginza, that was a great experience. But also hidden gems are waiting in their narrow alleys, like one of the best soba noodles I’ve ever tried, at Kazami. Shopping in Ginza is in another level of relation with clients. Of course, the brands are to be expected to have that special relation. Try going into the Lamborghini shop and observe when a client makes its entrance. Soba noodles at Kazami, hidden gem in Ginza. Though technically he’s not in Ginza. 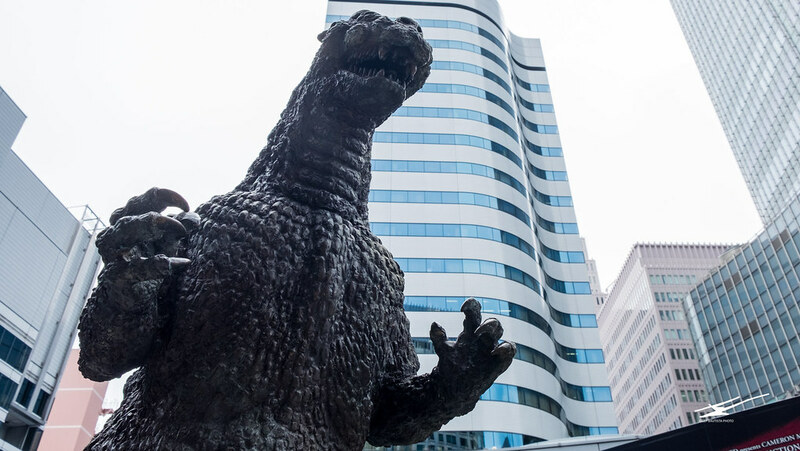 The statue dedicated to the famous Japanese Kaijuu, is located near Yurakucho station, in the border with Ginza.